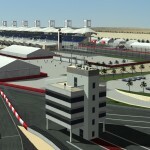 A year ago, McNolo was working on a conversion of CTDP’s Bahrain track to rFactor2. Today, he released his track to the public. Note, that CTDP gave permission for the conversion, but was not actually involved. We thank him for the conversion. Status is, there is not much update. We feel in a stalemate situation at the moment. 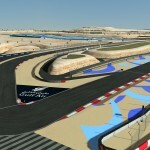 As we wrote a couple of months ago, CTDP has had some hard years and we have awaited rFactor2 with high hopes. To boost morale in the team, we pushed the developed of the IFM-2009 mod forward in favor of F1-1994. We had to adjust and get results with less people, and a smaller mod such as IFM-2009 was just the way to go. 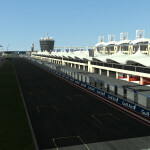 rFactor 2 Beta was released in January and looking back on the past months, we realized, many of our hopes have yet to be fullfiled. 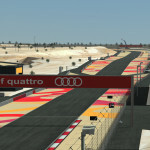 Beta means rFactor2 is not stable and in a constant change. This is software, this is normal, however, this has consequences on the community and on the modders in particular. For us it feels like the community has been holding it’s breath since the first release of rF2. Very few leagues switch and embrace the new platform, even fewer mod teams. And we can understand this, as CTDP is also experiencing the disadvantages of being cutting edge: sometimes you cut yourself. We discovered several bugs in export tools and shaders, we have been embracing the new platform and sometimes we had setbacks and wrong decisions. That’s alright, however what makes it frustrating is, that even after 10 months it feels like developing against a moving target. Software is supposed to evolve and change, but especially interfaces to external components (ie exporters, shaders, physics, packaging) need to be frozen at one point to allow for third-party devs to get things done and build upon it. This has not happened yet and every new build requires to update things on our current alpha of the IFM2009 mod and reexporting the models. Sometimes for the better, sometimes for the worst. Bleeding edge. While the community held its breath waiting, modding within CTDP appears to suffocate. We have all but one car textures ready. 15 helmets are left to do and no texture artist is motivated to work on it. We have basic physics who need work especially on the tire model, which is its very own story with rFactor2. We have a running alpha version, and no testers who provide solid and helpful feedback. We are down to a handful of people and not sure what to wait for right now. We are considering other platforms, but right now there is no alternative available/suitable to us. In every life, there is a point where you have to be honest to yourself and to everybody around you. This point has come now and we (CTDP) want to let you (our fans & followers) know, about our current status. The truth is, after CTDP 2006, a lot of the guys disappeared. In order to compensate the loss, we said CTDP2006 was maybe our most complete mod and will ever be. It was just perfect, it was something nobody has done before and maybe nobody will ever do again. The details and blood, sweat and tears we put into that mod was impressive. Not only to everybody who played the mod. Especially to everybody who was part of the develpment team. But with the release of the mod there was a turning point. Almost four years of develpment demanded its price – and it was very high. While right after the release motivation was high to start new projects, within months we lost many people which caused us to cancel the 2009 mod. Some members quit because they got offers from game developers, some just disappeared and never showed up again, most got job, girlfriend, life. So what was the next goal to aim for? Our very much awaited 1994 mod should come back to life and should get released at some point. We started the project with our even more limited resources, did a very good research and even built up our own wiki for this season. We were ready to start over, but there is the point we struggled. We thought, it would be enough to give our “old” cars a smart overhaul to get them up to today’s standards, but after had our Wiki and about 5GB of photo material, we discovered, that lots of proportions are wrong and each car has a lot of visible mistakes. Our philosophy turns out as a “neckbraker”. We always wanted to achieve nothing else as the best we can do. And knowing about all the faults it wasn’t good enough for us anymore. So we started fixing the mistakes or even completly redid cars. So far we have 2 cars ready and 3-5 more on a good way. That makes 7 in total, but we’re far from coming even close to a release. To answer that question I have to explain what the motivation is the members in CTDP work for. 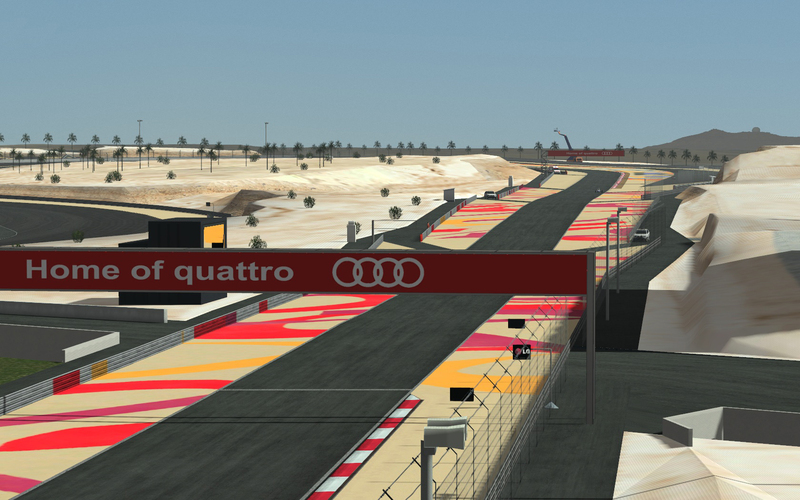 In a recent comment we were asked if it’s worth the extra time doing all the track specifiy upgrades, liveries etc. for CTDP 2006. That’s a tough question and I think that you can answer it with yes and no. No, because in hindsight it was a huge project that cost us so much time and yes because it’s shows the spirit of CTDP. We are always willing to improve ourself and keep pace with the professional developers in the industry. 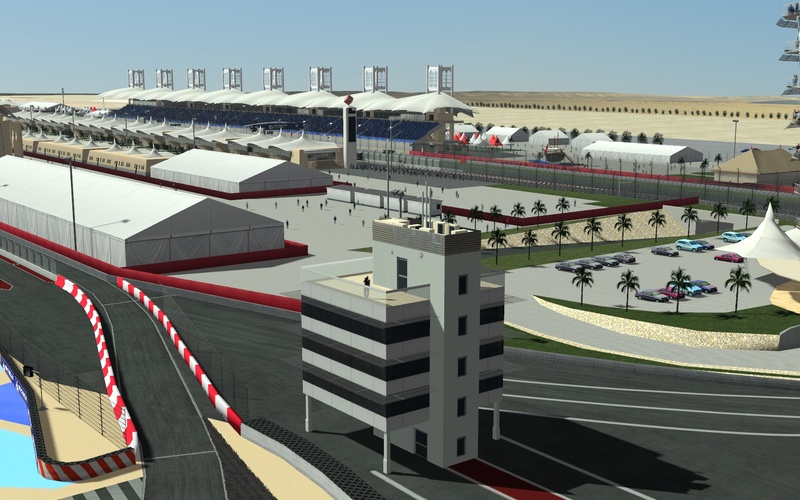 In case of CTDP 2006 we did something that even professional developers never did before and probably never will: recreate a complete F1 season with every upgrade that was raced during that season. We’ll probably never again create a mod to such an extent but we will always try new ways and technologies in creating our mods. [nbsp] In the end we’re not just modders that create the content, we’re also hackers and gamers. We have certain expectations on how a game/mod should look and feel – like everyone else out there and we work and fight to get the means to do it the way we want it. Personally if I play a game like Forza, pCARS etc. I look at the graphics – especially the models and textures – and analyze them, to get inspired, to develop new techniques for myself. I wonder how they did this and that and then I try to do something similar to improve my work. The price of the high quality our mods comes in the time and sometimes money spent. Creating more detailed models and textures that look better ingame requires time and skill to create. And to get that skill you need to spend time to practise, improve and experience. To create more realistic physics you again have to invest time and also money to get your hands on books and/or magazines. Creating a mod is much more time consuming than 5 years ago; at least if you go with the time and exhaust all possibilities the engine offers you. As I wrote above I often take a look at the techniques used in other games or even mods and try to recreate them or even improve them. It’s time that I could have spent in creating another model or whatever. But I think in the end it serves the mod more to create a better looking experience than to release the mod a few weeks earlier with models that look like they were already out of date two years ago. Our high standards have another negative side effect: it’s hard to find[nbsp] people that have the talent and more importantly the WILL to improve themselves. As every modding group knows members will come and go over time. That’s pretty normal and also understandable – quite often we loose members to the industry. So you’ll try to compensate your losses by recruiting new people. The best thing would be to get someone that[nbsp] already has the skills to work on your level so that you can continue your work without any transition. As we’re already reached a pretty high quality standard it’s hard to find those people. It’s much more likely that you’ll find some less experienced modders that you’ll have to teach some of the advanced techniques. I remember back in the days when I started modding with community 3D app that loads in GP2/GP3 models. In this app you can manipulate just the vertics a model had by clicking on it and entering x/y/z co-ordinates. That has tought me the real spirit of modding back in the days and I still remember these days with joy. As for textures, you had your common template and by today’s means you got create a mod within a few weeks. Modding is constantly evolving and games like rFactor2 will provide us with new[nbsp] features that we want to and should take advantage of. Complexity and difficulty have become harder and where more possibilities were created, the amount of people who is actually able to use them diminishes. So if you haven’t stopped reading you now know how CTDP ticks, how we define our spirit and what consequences that spirit is asking for. While we still have talented guys in our rows, it’s not enough. The amount of work for 24 cars is just too much. The IFM mod was a good way to see if we can effort single car mods with just one model and it was a good testing ground for us to get known to rF2 and its new techniques and limitations. So what are our learnings from IFM, if we reduced it to the team work and not to the technical part of the job. The part of the team that is left, did a great job and we covered almost 80% of our todo’s. Who is actually part of CTDP right NOW? Maybe we have luck and 20 new, talented and well experienced members will join right after that post. But that would be something quite unrealistic to expect and actually not easy to handle as well ;). So for now, we will focus on IFM and then we will decide IF, HOW & WHEN we continue work on CTDP 1994. It’s also possible, that IFM is CTDP’s last mod ever released. If CTDP will be gone, we want to see it go in glory and on a highnote, but we will let you know, as soon as we know. It will not be a decision easily made. Thanks for your attention, patience and your support. Your CTDP Team (everybody who was & is still part of the team). With rFactor2 comes a new and complicated tire model. 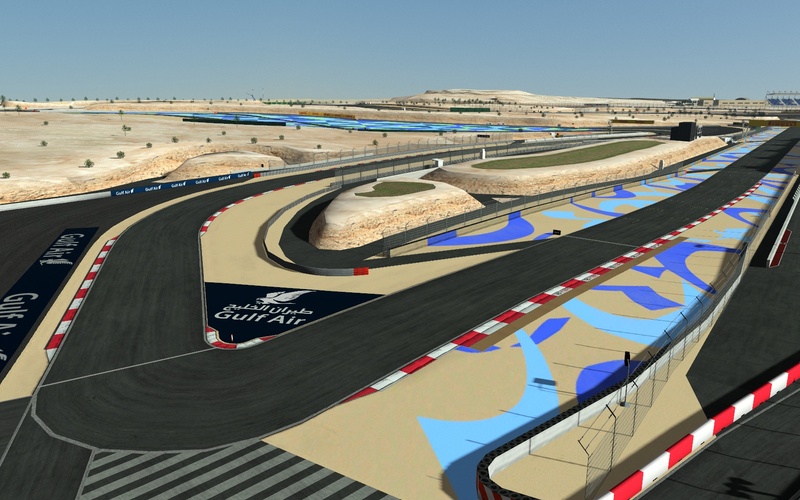 While it supports many new features it’s also a lot more complicated than in rFactor1. Together with erale, we had the idea of creating a tool to edit the tire definitions (TGM-files) more easily. We started a prototype, got many new ideas and the proof-of-concept worked, but due to my time constraints I didn’t continue development. However, since this is a topic where smart utilities to help modders can be developed and are welcomed, I decided to give you a head-start by releasing parts of my prototype. 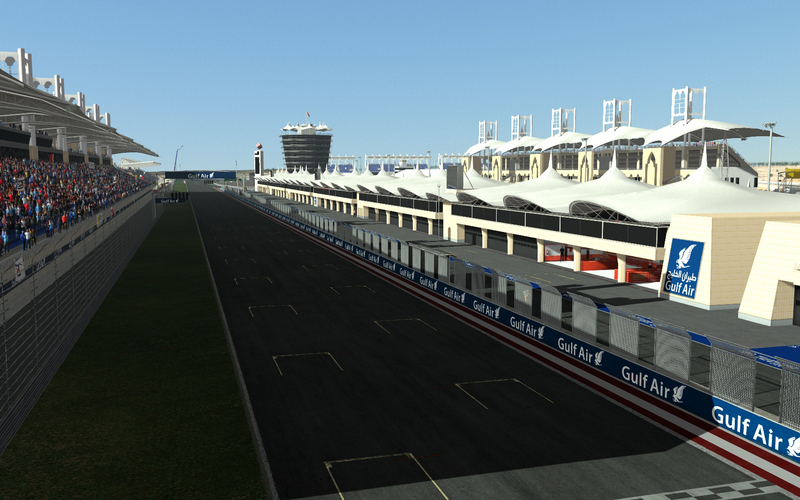 Next in our series of tutorials for Modding is the topic of packaging for rFactor2. The Packaging is a new feature of rFactor enabling modders to deliver Mods as complete closed packages, that enforce untempered multiplayer racing. The packaging topic is still very much debated in Modding circles and we figured the available tutorials are not a good point to start. So Stefan Triefellner sat down to summarize his experience. This tutorial is a how-to mainly aimed for car mods! It does not cover the topics of updating an existing mod. We will write another tutorial on this topic later. During the development of the IFM mod for rFactor2 we stumbled upon a problem that looked like some messed up normals on a few places of the car. So we looked again at the car and its normals. Re-smoothened them over and over again and still got this nasty normals on the car. We were clueless what could cause the problem. Then we noticed that those normal issues only appeared on one half of the car and together with the fact, that we didn't have this issue with the unmapped model we came to the conclusion, that something on our mapping has to cause these normals issues. CTDP maps its cars differently to most or all(?) other modders out there. For the 2006 mod there were three textures: one for the top of the car, one for the right and one for the left side of the car. Right and left had exactly the same mapping which has the following reason: While painting the design of a car you don't have to adjust it for the opposing side of the car. You just copy it over and mirror the sponsor logos and save memory as both drivers share the same textures. Ingame everyhting looks like it should and it saved our painters a lot of time. We did the same style we used for 2006 with 1994. Just for IFM we experimented with a slightly different approach. We now have 2 instead of 3 textures for the car. Left and right aren't seperated textures anymore. They're both distributed over these 2 textures. But still one side is mirrored for easier painting so that our painters just have to move their design up/down and mirror the sponsor logos.